After receiving his Bachelors of Science degree from the University of California at Davis with the Highest Honors, Dr. Chung began his medical education at the prestigious University of California at San Francisco School of Medicine. While at both UC Davis and UC San Francisco, he was recognized with the most prestigious distinction, UC Regents Scholar, earning him a full academic scholarship for all eight years of his schooling. 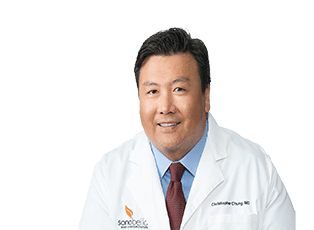 In addition, Dr. Chung has received numerous awards and honors, and is fully trained in General Surgery with a Fellowship training in Plastic and Reconstructive Surgery at the University of California at San Diego. Dr. Chung is Board Certified by The American Board of Plastic Surgery and is an Active Member of The American Society of Plastic Surgeons (ASPS). Dr. Chung has presented at multiple national and international scientific meetings and is well published with numerous scientific articles and textbook contributions. Furthermore, Dr. Chung remains firmly committed to his number one professional priority: Providing the best medical care to his patients. Dr. Chung is a recipient of many awards for his community service, including: County of Los Angeles Commendation, United States Special Congressional Recognition, The Character and Ethics Award, State of California Senate Certificate of Recognition, and California Legislature Assembly Certificate of Recognition. Dr. Chung is married to an Emergency Medicine physician and has 3 children. He enjoys the outdoors, tennis, and fictional writing in his spare time.